One day we woke up, and realized that four new coffee shops opened within past five months between the Jefferson and Dekalb L stops. I mean, four! We visited them all, and concluded that new coffee shops are some really excellent additions to the neighborhood, particularly on blocks where residents lacked morning caffeine buzz. And the owners? From some serious coffee nerds to waterfall designers, the owners form interesting new school of Bushwick young entrepreneurs. 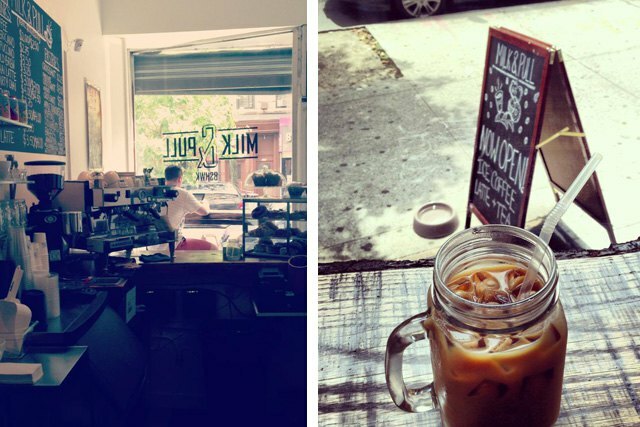 This new coffee spot in the McKibbin Loft building owned by McKibbin Loft vetaran resident, Joe Murray, doesn't have a lot of seating, but it makes up for the lack of chairs with a big selection of food and drinks at old school Bushwick prices. House drip starts at $1.50 while an iced coffee is $3. 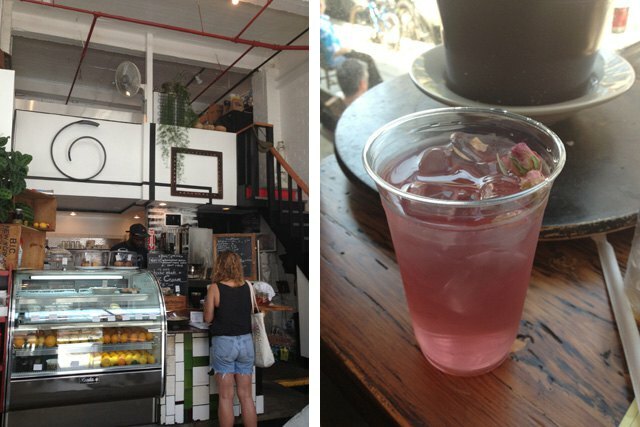 The café also whips up a daily selection of slightly exotic iced teas that sound as refreshing as they taste, such as hibiscus with rose petals and lavender with pine leaves ($3 each). The food offerings are expansive and super affordable including house-made waffles ($6), hearty sandwiches like egg salad on ciabatta ($4.50), freekeh salad (small $3.50/large $6) and a variety of treats from Chime's Bakery. The decor feels a bit slapdash and bare like the typical apartment of a new McKibbin loft resident. It doesn't yet possess a super cool vibe that will make it your go-to work outpost (plus it doesn't have Wi-Fi), but it's a perfect place to grab a quality coffee, a quick meal and some McKibbin loft gossip. We caught this quick convo as we perused the cookie jars. "They brought some couch from the street right into our living room." "Because they live in some Woodstock-time-warp where everything is okay and bed bugs don't exist." Milk & Pull (181 Irving Ave): Chai Latte to die for! 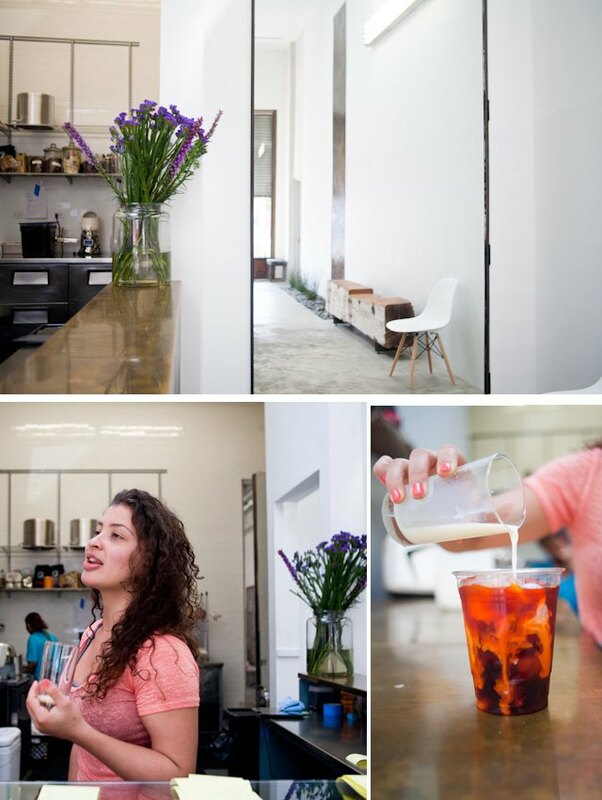 Photos via Milk & Pull Facebook page, edit by Bushwick Daily. AP (426 Troutman Street): OMG, waterfalls! We mean waterfalls! Here at Jefferson Stop, we are growing more and more used to (and warmly welcoming towards) the new little spots that are popping up left right and centered in our little nook of Bushwick. Case in point, enter AP Cafe, the new, large, divinely minimalist coffee spot that has opened its floor-to-ceiling glass doors to the lucky coffee-heads and freelance crowd of Jefferson Ave. Located just between Wyckoff and St. Nick’s on Troutman, the space is large, stark white (in a cool, modernist way), with high ceilings and a sort of zen decor, including waterfalls that flow down the wall on the exterior and interior of the building. The drink and food menu is perfectly paired for the venue - easy, simply, good coffee and pastries, with a plan to expand in the coming months. From classic espresso drinks to some more exotic, regional drinks, including a spicy cold tea-type drink called Sorrel, the spot fits effortlessly into a neighborhood that we still like to think is, um, undiscovered. 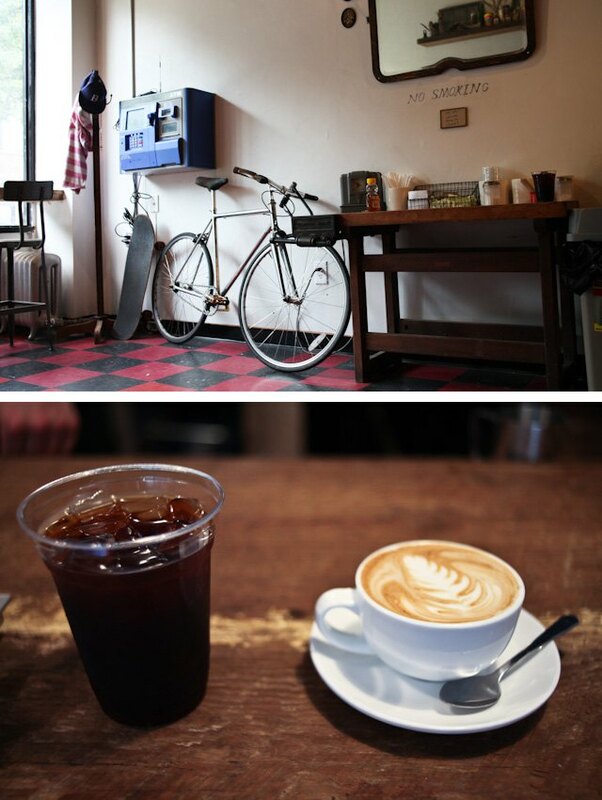 Strangeways (87 St Nicholas Ave): Simply phenomenal coffee! On a sleepy block of the marvelous St. Nicholas Ave, right across the street from Schema Projects, a new coffee shop is alluring caffeine junkies with the divine smell of freshly brewed coffee. Eddie Cedeño, one of the three co-owners, says that the "only" ambition Strangeways has is to perfect the craftsmanship of coffee-making. They don't offer food (with the exception of donuts and pastries) or anything else. Just plain and simple, phenomenal coffee. And when we say phenomenal, we mean it. As an employee of Oslo Coffee Roasters, Eddie travelled to Nicaraguan coffee plantations, cupped lotsa coffee, and brought back the most delicious beans he was able to find. How many coffee shops can say they personally know the farmer who grows their coffee? Not surprisingly, the coffee is delicious, the decor of the place is simple, and this little gem has huge potential to become your neighborhood's favorite.